We are one of the leading manufacturer, supplier, service provider & exporter of Prefabricated Stores. Our other products are Prefabricated Control Room, Industrial Sheds & Warehouse, Steel Shipping Container and many more. 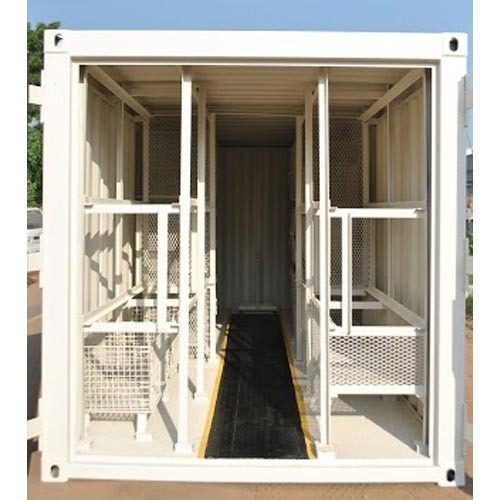 We are involved in the manufacture and trade of a wide collection of Portable Stores, which can be availed in numerous dimensions as per the client needs. Spacious and lightweight, these stores are vastly applauded among our valued customers. Ideal for storing a variety of products, these stores are provided with several compartments of varied sizes to accommodate small and large sized items as well. We are engaged in the manufacture and trade of a wide series of Economic Prefabricated Store that are made from optimum quality stainless steel procured from our reliable vendors. Provided in several dimensions, these high functionality modular stores are quite popular among our clients. Made as per industry norms, the offered range is widely applauded for its self supporting and robustness. Our company is engaged in the manufacture and trade of a vast collection of Modular Stores that can be availed in several specifications. Premium quality stainless steel obtained from our trusted vendors is used for manufacturing these robust and spacious stores. Widely appreciated for their impeccable designs, ability to withstand rough weather conditions, these stores are vastly demanded.